Lavender most likely got its name from the Latin root word lavare which means to wash. This essential oil is an herbal mixture of naturally occurring phytochemicals derived from the lavender plant (Lavandula angustifolia) and is obtained through distillation of the lavender flower. It is one of the most popular essential oils on the market because of its fresh, sweet scent along with many health and beauty uses. Lavender essential oil, due to its fragrance, can be found in many soaps, shampoos, perfumes, and sachets. It has been used for a long time in baths to help purify the body and soul and used to remedy many health problems like insomnia, anxiety, d﻿﻿﻿﻿epression and fatigue. ​Are you stressed from a long day at work and can't seem to relax or just having trouble sleeping? Don't forget to have the lavender essential oil because it is widely known for its sedative properties. Recent research concluded that people who smelled lavender essential oil before bed had a 20% increase in their quality of sleep. 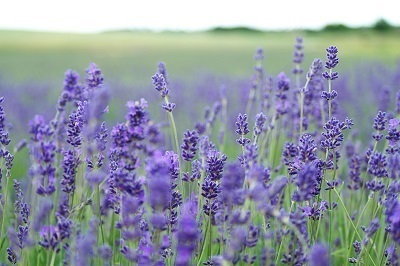 Research also concluded that people who smelled lavender at bedtime slept more soundly and felt more energetic. 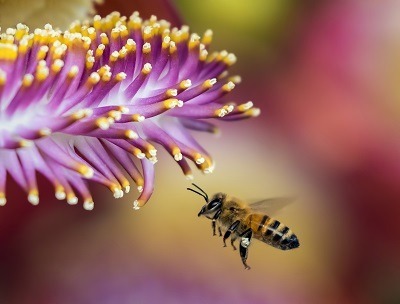 Parasites are organisms that live and thrive in our bodies or on our skin. Lavender oil has been used for centuries as a mood stabilizer, antidepressant, and to improve intellect. The lavender essential oil contains phytochemicals like alpha-terpineol, borneol, lavandulyl acetate, camphor, and pinene that have healthy mood boosting effects. Throughout history, the lavender essential oil has been used for anxiety and depression, either by taking internally or by smelling or sniffing of the oil. Anxiety is a common disruptor of many people's lives today. ​It can be brought on by the stresses of everyday life and can result in the long-term chronic anxiety and depression as well as difficulty sleeping. When used in aromatherapy, lavender oil was shown to be effective in reducing anxiety and depression. However, there is supposed to be no exact cause of high blood pressure. But, the long-term sleep disturbance could be a potential risk for high blood pressure. This study also clarifies that insomnia (sleep disturbance) and high blood pressure (hypertension) often coexist. But, with the essence of lavender essential oil, you could improve your sleep and so your blood pressure. According to a study published in the Hindawi, inhaling of essential oils found to be effective in reducing the blood pressure in prehypertensive and hypertensive people. Hair loss has been a common problem in the United States. Here is the latest report from the statisticbrain. 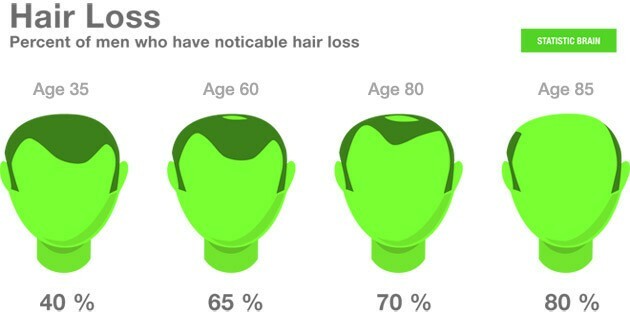 This clearly shows that out of 321 million people of U.S., 56 million women and men are experiencing hair loss. All of us lose hair every day; in-fact losing 50 to 60 hairs a day is normal. But, if you lose more than that then it is something to be taken seriously. This could be alopecia areata, a medical condition that results in some people losing their hairs excessively. In this condition, the hair follicles are weakening because the immune system mistakenly attacks there and obstructs hair re-growth. ​In a Scottish study, the efficacy of some essential oils including lavender essential oil was monitored in people diagnosed with alopecia areata. The study found that people who were massaged with essential oils have improved their condition. Lavender has long been used for its ability to nourish, soothe, and soften the skin. The astringent and anti-bacterial qualities of it make it good for people with oily or acne-prone skin. It has also ability to reduce the skin redness and skin inflammation and is good for many skin conditions like eczema, psoriasis, and even burns. Whether you are having acute or chronic, long-term aches and pains, lavender oil can be used to help relieve pain and soothe the body. Lavender oil is a great natural alternative to repel fleas and ticks because it has insecticidal properties and is not harmful to people, pets, or the environment. Allergies cause our nasal passages to become inflamed resulting in seasonal allergy symptoms like nasal congestion, runny nose, itchy or watery eyes, wheezing or coughing. Lavender oil is anti-inflammatory, helps relieves headaches, and is a natural antihistamine. Lavender oil has insecticidal properties that make it a great natural alternative for treating and preventing lice. It works to suffocate and kill the lice which are already there and can be used as a preventative treatment to repel lice and prevent more infestations. Apply a few drops of oil onto hair and leave for two hours. Shampoo and rinse hair, then using a nit comb, comb through hair removing any nits you see. You can also place a few drops of lavender oil on your child's comb every day before brushing hair as a preventative measure. Stress has a lot bad to do with our health. It can also elevate our cholesterol levels. According to Dr. Stuart Seale” Stress increases cholesterol levels not only for short-terms but also for long terms”. But, using the lavender essential oil can help you getting your cholesterol numbers at the good level because it reduces stress and anxiety. Lavender essential oil also promotes faster healing of wounds. The l﻿﻿﻿﻿a﻿﻿﻿﻿test study on rats has confirmed the fact. 14. It has antioxidant properties. Antioxidants are essential to fight harmful free radicals in the body that cause cell level damages to our body. But, the antioxidant properties of lavender oil maintain the health of the body. Lavender is generally safe for most adults when taking orally, topically or inhaled in safe amounts. However, lavender oil has hormonal effects that could possibly be unsafe for young boys who have not reached puberty. Pregnant or breastfeeding women should avoid using lavender oil and should not be used two weeks before any surgery, as its use along with surgical anesthesia could slow down the central nervous system to unsafe levels. ​Lavender oil on its own has sedative properties and should not be taken in conjunction with any other sedative medications.